My Salmon Pie was the WINNER for the state of Georgia in the No Power! No Problem! contest for the Georgia Emergency Management Agency! I’m still a little shocked and of course excited. Here is a screen shot of the announcement on Facebook. Go “like” me! (ATLANTA) – When a natural disaster strikes and you’re stuck at home without power, it’s tough to find good food. That’s why the Georgia Emergency Management Agency/Homeland Security (GEMA/HS) Ready Georgia campaign is inviting Georgia amateur chefs to compete in the second annual No Power? No Problem! Recipe Contest. Designed to raise awareness about the importance of preparing a three-day supply of food in case of an emergency, this year’s competition will pit Georgia residents against well-known professional chefs, including “Top Chef” judge Hugh Acheson, “Top Chef” finalist Kevin Gillespie and the winner of last year’s No Power? No Problem! contest, Jason Starnes. From July 13 through 31, all Georgia residents 18 and over are invited to submit their best “no power” recipe via the Ready Georgia Facebook page. Recipes must use only non-perishable ingredients, such as those you can store in a Ready kit, as well as manual tools and alternative heating sources. 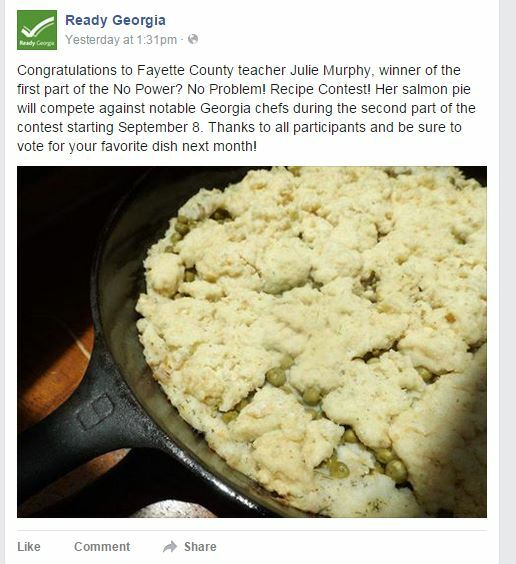 The winning amateur chef will be announced in August and will win a Ready kit valued at over $100 and have their recipe permanently featured on the Ready Georgia website. For more information on about preparing for emergencies, or to view last year’s emergency recipes, visit www.ready.ga.gov. You will notice it says that I won a “Ready Kit.” It came in the mail today. 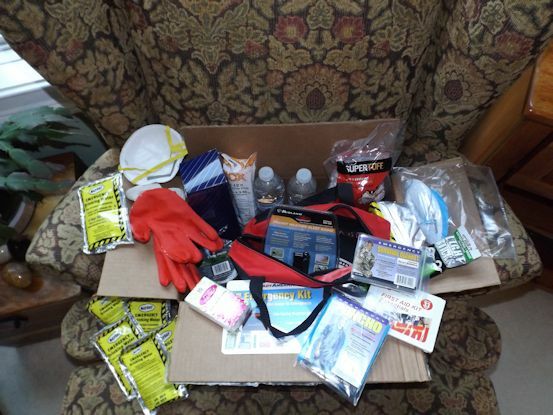 It was a big box full of great products to use in an emergency. I will keep you posted regarding the rest of the contest. I’m not sure what it will entail since I am the very first amateur chef to win. Yay! 4 Responses to Winner! Winner! Yay, Julie! Congrats! I use the ReadyGA app and know folks at GEMA through work. You are a winner! !